Beautiful card - love the clean lines..
Beautiful Card. Thanks for your comment. So elegant!!! I love this look!!! 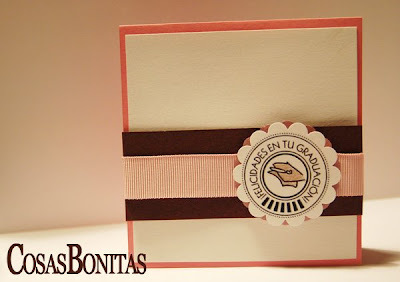 Me encanta tu tarjeta!!! Simple y professional. Nice clean lines! What a beautiful card. Por fin te he encontrado!! !